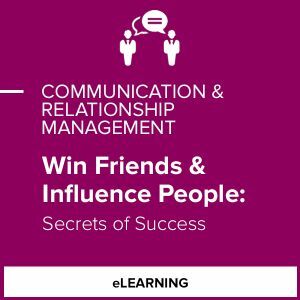 In this course, you will be introduced to all 30 Dale Carnegie Principles on How to Win Friends and Influence People. This includes principles on becoming a friendlier person, creating lasting impressions, winning people to your way of thinking, building trusting relationships, and becoming a better leader. Videos provide helpful examples and stories for each principle, and a guidebook has exercises for applying the principles to your own circumstances.